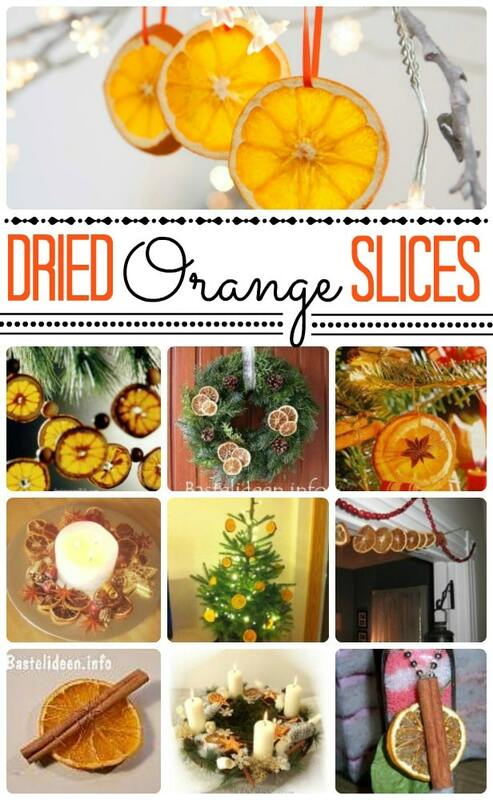 A very quick craft for you – how to dry orange slices for Christmas. 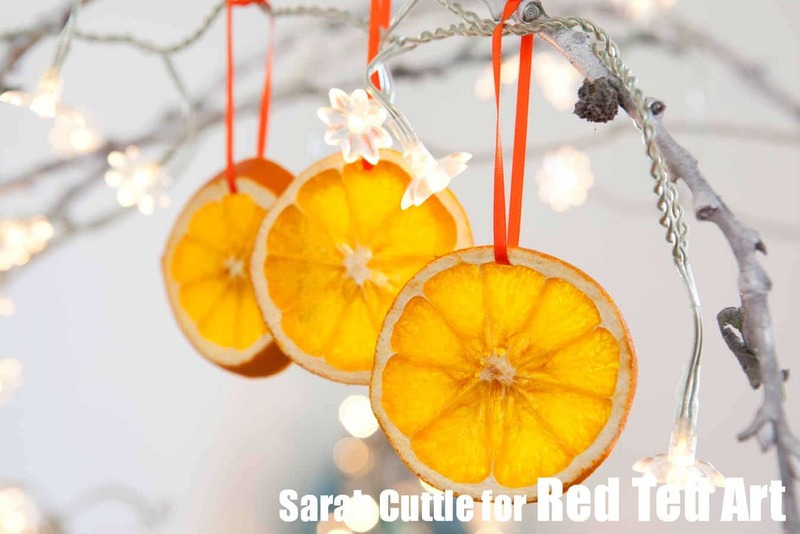 I love the “rustic” look of dried oranges – they are so simple and yet so cheerful and Christmassy (many more Christmas Ornament DIYs for you here). I have only really had time to dry our slices and to hang them by a ribbon (I do actually think this looks quite lovely that way), but I have also selected some orange slice crafts below for you to be inspired by! 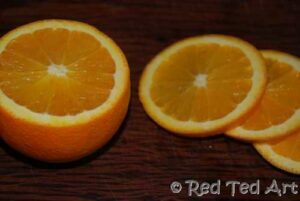 This how to dry orange slices how to was published in Nov 2011 and updated for your convenience! 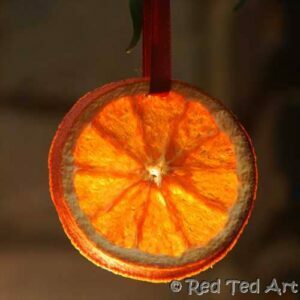 These fabulously traditional orange slices are also included in our practical, easy to download and print out Christmas Ornament Book. Each craft is shared on one page – making the perfect worksheet print outs. Lovely to have them all in one place too! 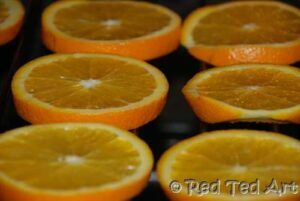 But first to the quick “how to make dried orange slices” – it is really straight forward. 3) Leave for 2-3 hours. Turn 2-3 times and keep checking on them. I had to make two batches as I burnt the first lot (the oven was too hot). Turning (especially at the beginning) them will prevent them sticking from the rack. I found my were still slightly moist, but ready for crafting with and that over time they dry out completely. 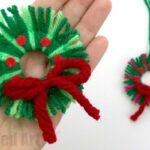 And here for another set of crafts (links below)! 6. 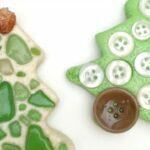 Simple table decoration by Bastel Elfe – collect and scatter! So… aren’t all these orange slices simply divine? Fancy giving it a go? 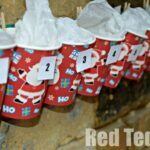 Why not make it part of your advent activities with your kids? Don’t forget to grab your copy of the Christmas Ornament Book. Hooray! Have fun – involve the kids if you want – a great one to do together! Wow! I like the one with back light! I guess the whole house will smell like oranges! I love the orange aroma! This is so cool! I love the smell of oranges at Christmas time. 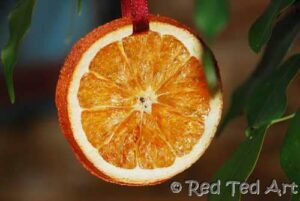 It reminds me of the oranges and pecans we would always get in our stockings. 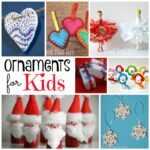 You might think about linking this or another crafty post up to Natural Family Today’s Holiday Homemade gift list! 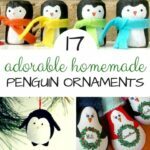 It can be any kind of homemade gift or decor. It does look rather nice with light, doesn’t it?! And yes, whilst I was drying them we did indeed have an orangey smell in the house. Very festive!!! This is sooo gorgeous! I love these! So festive, and I bet they smell fantastic! Yummy! Could you please link this post on my blog? I’d love to share it with my readers too! Have joined both your link up parties! Thanks for the invites ladies! I tried these last year. and failed. will try again, maybe I cut them too thin? Possible? Also, did you put them on a rack AND turn them? I do find that that helps.. I did burn one batch (oven too hot). I think slowly slowly? I love the idea of this. Thanks for sharing! I couldn’t remember where I saw this post so sliced, put them on a tray and set the oven off at 180. Oh the mess! Will try again now I’ve found (and saved!) this post lol! Nicki fear not! I burnt my first batch too!! Ha! Mine were quite black. Did you put it on a rack or sheet? Rack is better!! I know that now lol! I’ll let you know how I get on when I buy more oranges! Can’t wait to see your second batch! Thanks so much for sharing all your great projects on craft schooling Sunday! I’m hoping to finally try this for The Jewish New Year of the Trees in February, so thanks for the inspiration! Hi, I was wondering how long these last before they start to go bad or mouldy? Do you have any idea? If done properly, they shouldn’t go mouldy – i.e. if they have been fully dried they should day that way. If you are worried that yours haven’t dried 100% then make sure that at the end of the season you pack them in a way that they can continure drying, e.g. loosely between newspaper. Then just check on them now and again. Thanks for linking to momstown.ca! Great idea! 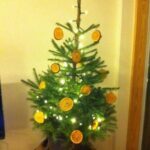 How many ornaments are you getting from 1 orange? I would say about 4 perfect ones and 2-3 smaller end ones? 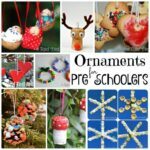 I just made some this week for our tree. I left them out and they dried in two days. Fab! Bit of colour for the tree. Ooh how lovely Melitsa, am so pleased!! Could I do the same with apples? I haven’t tried.. I suspect that it would work, but that they shrivel up more and loose their shape, so wouldn’t look as nice? I love these! 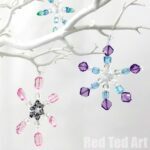 I made them years ago when I was really into Country Prim decor and put them on my Christmas Tree. My style these days is more shabby chic, cottage but I am going to make these again for bowl fillers. They smell wonderful! Ooh interesting that they dry quickly enough in the airing cupboard! Great idea! with the exact same comment. There has to be a way you are able to renove mme from that service? Oh, I am so sorry to here this. Will see if I can sort it out! The smell isn’t overpowering – well whilst they are cooking you can smell it, would say less so afterwards. Should work with limes, but don’t know how well they hold their colour! I like it. I dried orange slices a few years ago. It’s much easier using a dehydrator. They still look great. Oh yes, I think dehydrators are definitely the best way to do it. Wish I had one!! Ooh lovely timing indeed! Have fun! About how long would you put them in a dehydrator? and how would you keep them from sticking? I assume you’d rotate the trays too? Hi, I don’t have a dehydrator and have never used one, so I have no idea! Sorry. While they are drying, lightly sprinkle with ground cloves on both sides~~they smell heavenly! Are they still sticky once they’ve dried? I have a fake tree. Hi I just wondered what you would recommend if my oven only goes down to 170? Should I just not do it at all? Mmmmh, I guess experiment? Turn frequently and don’t leave them in too long? SO lovely! I especially love the center piece with the candles. The orange adds a nice color to the piece. 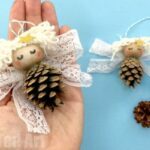 You can also do this with lemon which will bring a brightness to the trees and other decorations. Thanks for sharing. A food dryer works really well ? Yes, if you have one, that is a great option! Wow thank you so much for sharing this! 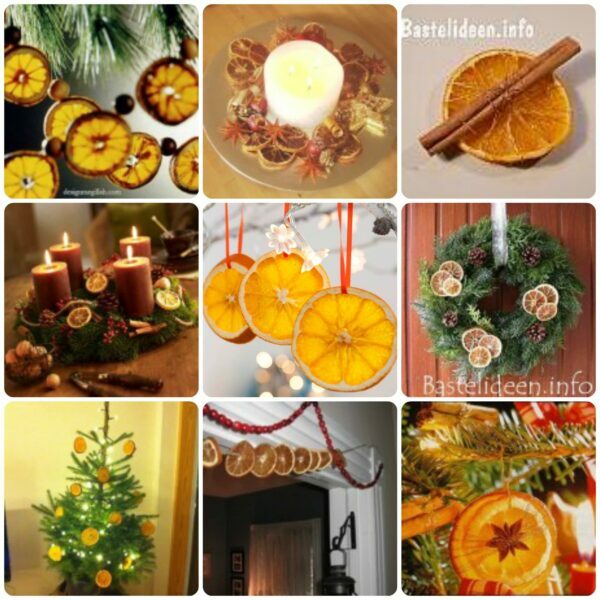 I want to dry some orange slices this year and make them part of my decoration.